Home » Anti-Aging » Is Aging Affecting Your Memory or Are You a “Super Ager”? Do you have any friends who still have a memory that’s as sharp as a tack? I know I do, and sometimes I find myself wondering if they’re just lying or if they’re really that good. 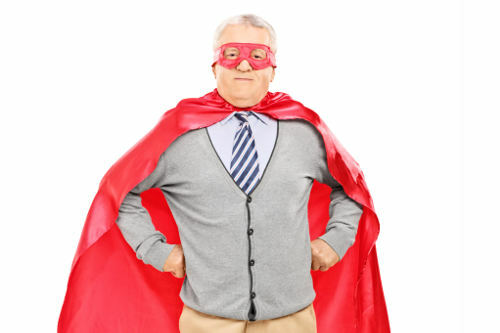 But it turns out some people might just have some extra power in the memory department after all; they’re calling them “super agers.” So…what exactly is it that gives some people a leg up over others when it comes to the aging mind? How Is Memory Affected By Aging? As you age—as I’m sure you’re aware—your body and mind undergo some changes. One of the changes you can experience is shrinkage in areas of the brain associated with learning and memory. These areas are the frontal cortex and the hippocampus, and they are largely responsible for your ability to recall past events and learn (and remember) new information. A new study by the Massachusetts General Hospital discovered that some aging individuals don’t experience shrinkage in these areas. In fact, by comparing brain images from people between the ages of 70 and 80 to those of people between 18 and 35 years of age, they learned that a percentage of older adults have the same thickness in these areas of the brain as people four or five decades younger. Here’s the kicker: Testing found that the thickness in these correlated to this segment of older people performing just as well on memory and cognitive tests as their younger counterparts. That’s why they call them super agers! So, How Do You Become a Super Ager? Although further testing is required to determine exactly what led to these seniors turning into super agers, I have a few thoughts on what might contribute to keeping your memory sharp and your brain young as you age. Studies in the past have shown that an active lifestyle—both physically and socially—contribute to improved brain function. So getting some exercise—regardless of what kind—and getting involved socially with friends or community groups can have a strong anti-aging impact. What you eat can also play a large role in how your brain functions. Eating a healthy, nutritious diet with fruits (like blueberries), veggies, and lean proteins helps provide nutrients essential for brain function. Healthy fats like omega-3s also play an instrumental role in brain health, so try eating fatty fish at least twice per week. Eating healthy fats from nuts, avocados, and omega-3 supplements is also helpful. There is also evidence that finding ways to keep your brain stimulated and engaged can contribute to super aging. Finding things to learn and become interested and involved in can lead to an improved social life and keep your brain sharp and quick.